This is a coco cake with a mascarpone cream, covered with a dark chocolate ganache. 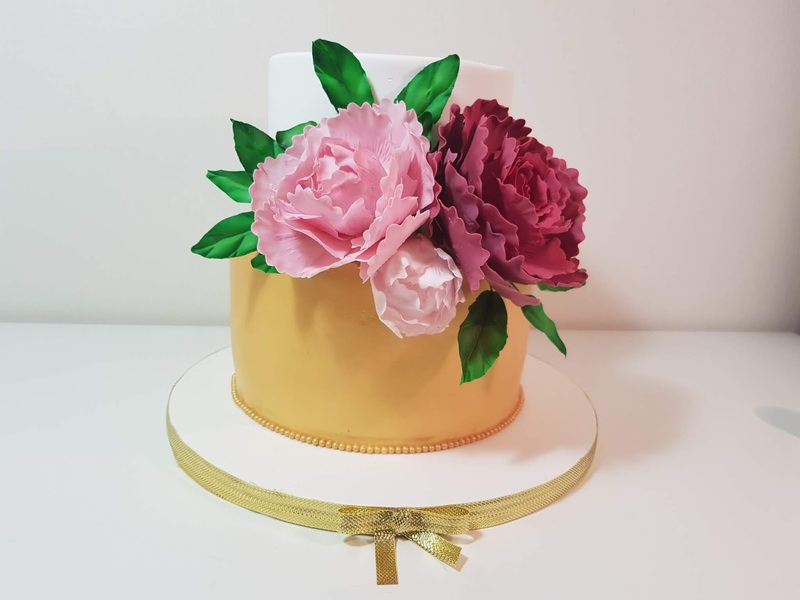 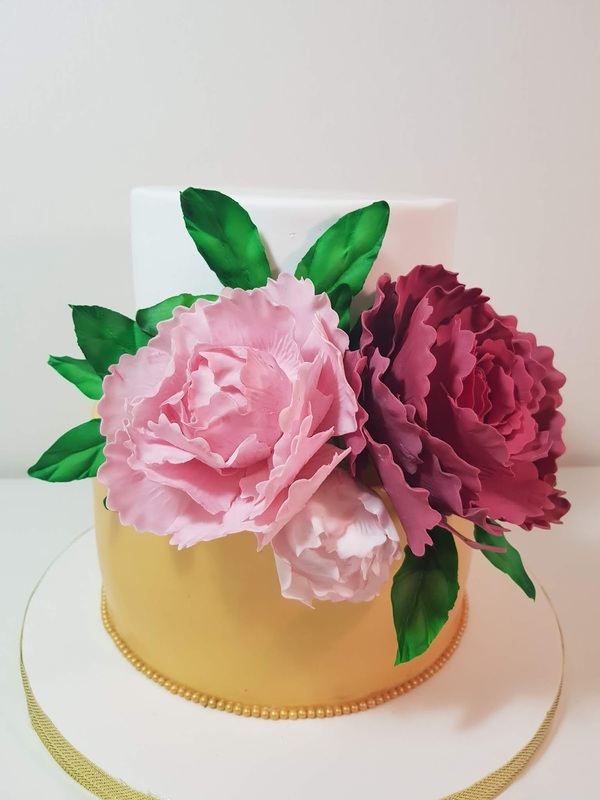 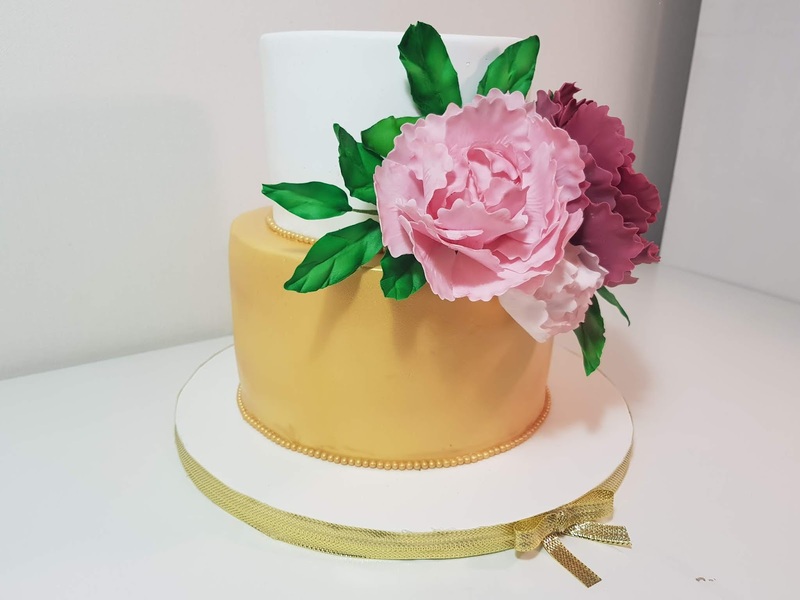 This is a yellow sponge cake, mascarpone cream and blueberry jam.The peonies are made from gum paste. 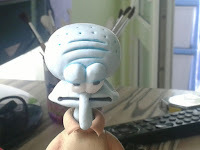 The model is from the net. This cake is made from a Victoria sponge cake, whipped cream and strawberry jam. 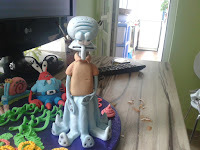 The figurines are made from Saracino modeling paste. 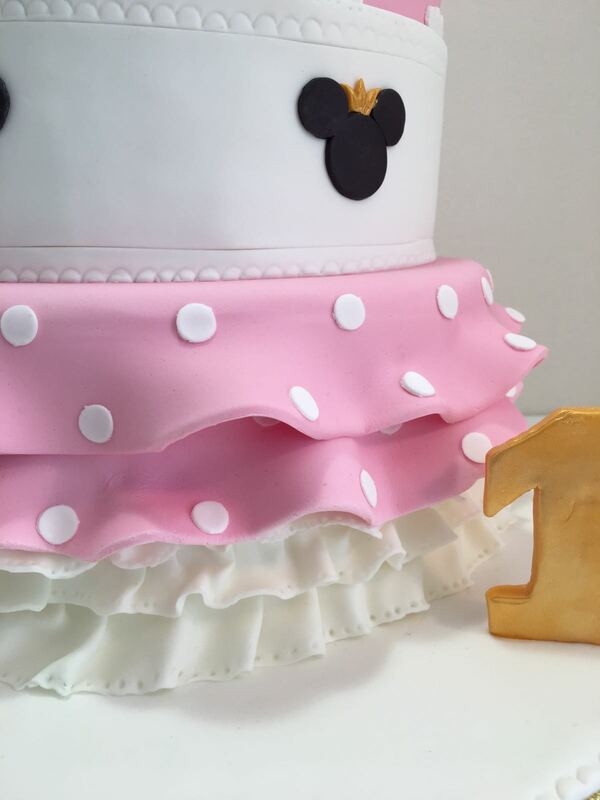 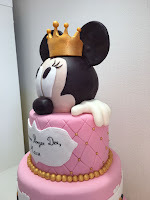 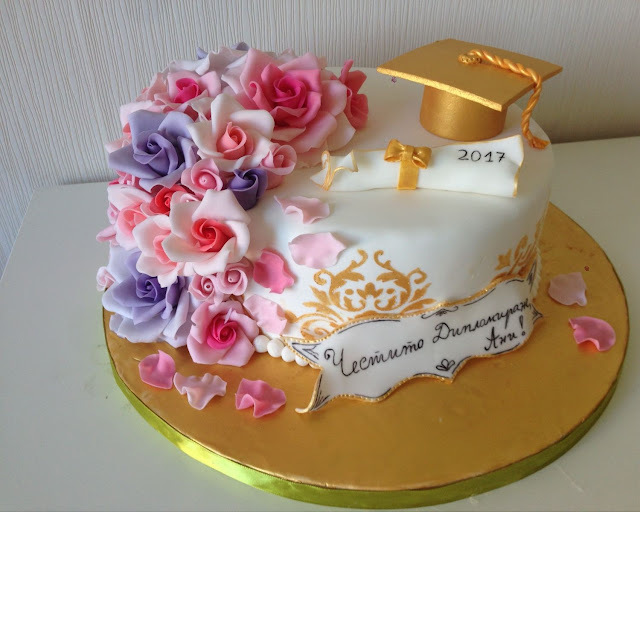 The cake is covered with First class fondant. 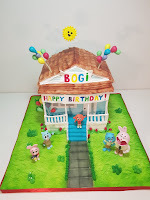 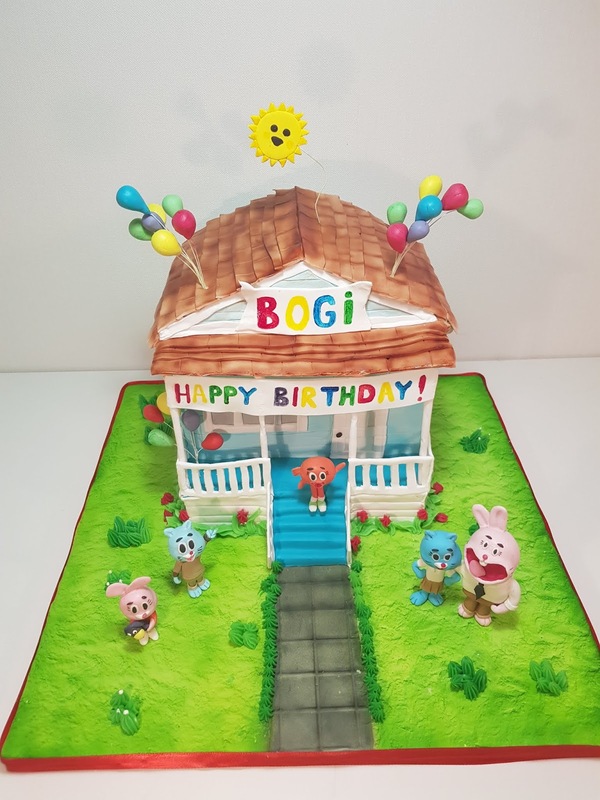 The house cake is made from a nut cake with Nutella cream. The figurines are made from Saracino modeling paste. 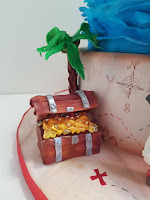 The chest is a brownie cake, covered with a dark ganache. 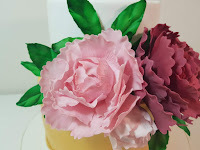 The figurines are made from Saracino modeling paste. 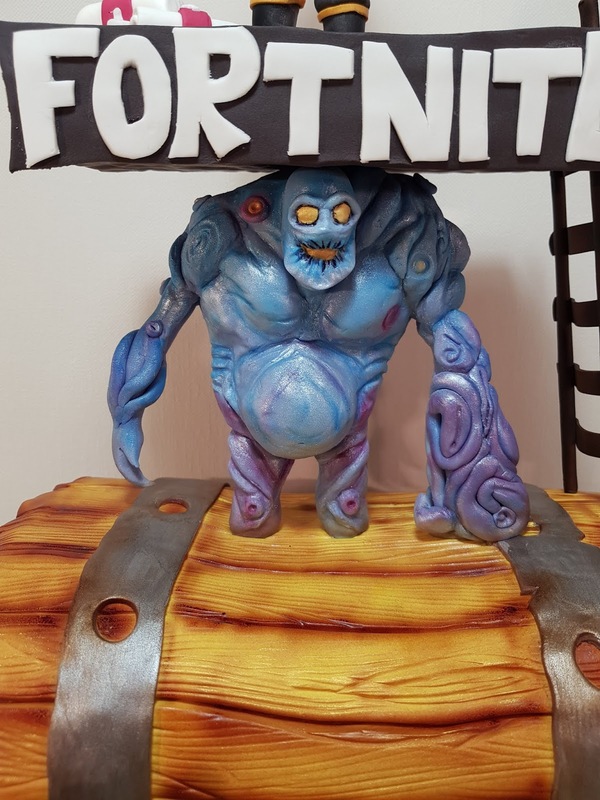 This is a Chocolate mud cake covered with a Dark chocolate ganache. 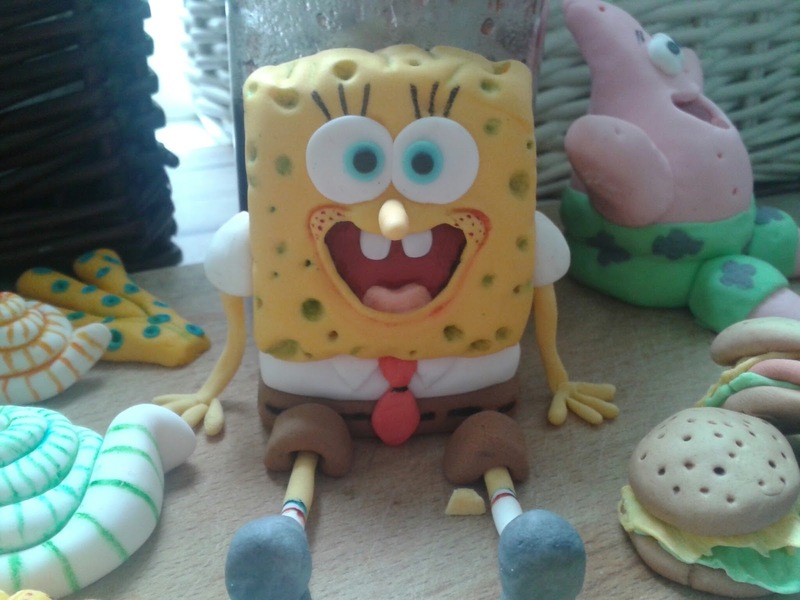 The figurines are made from Laped modeling paste. 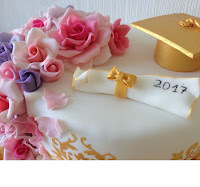 This is a Chocolate sponge cake with a white chocolate cream. 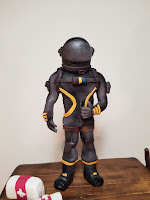 The figurines are made from Modecor modeling paste. 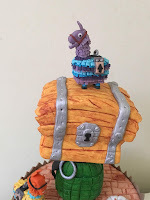 The Kung Fu Panda Cake. 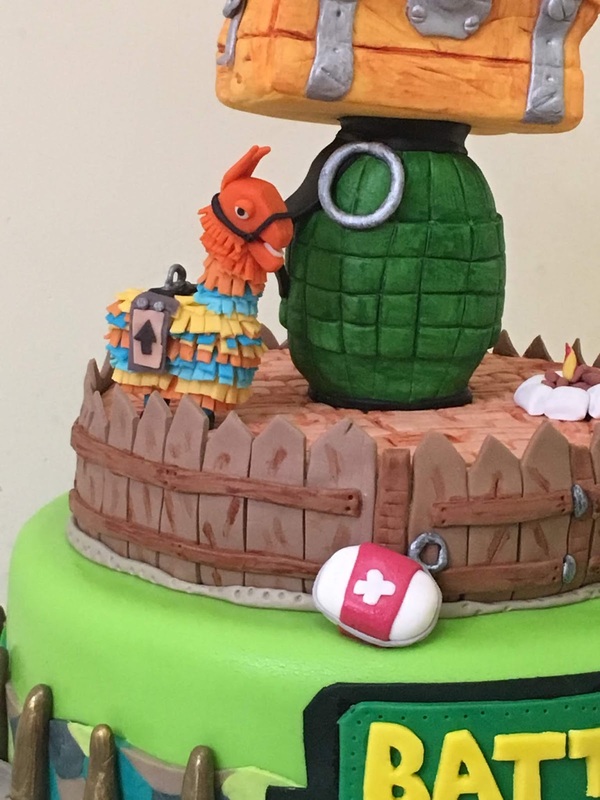 This is a two tired cake. 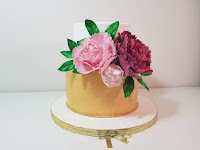 The first layer is carrot cake with mascarpone cream. 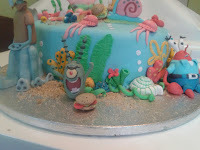 The second is a chocolate nut cake with vanilla cream. 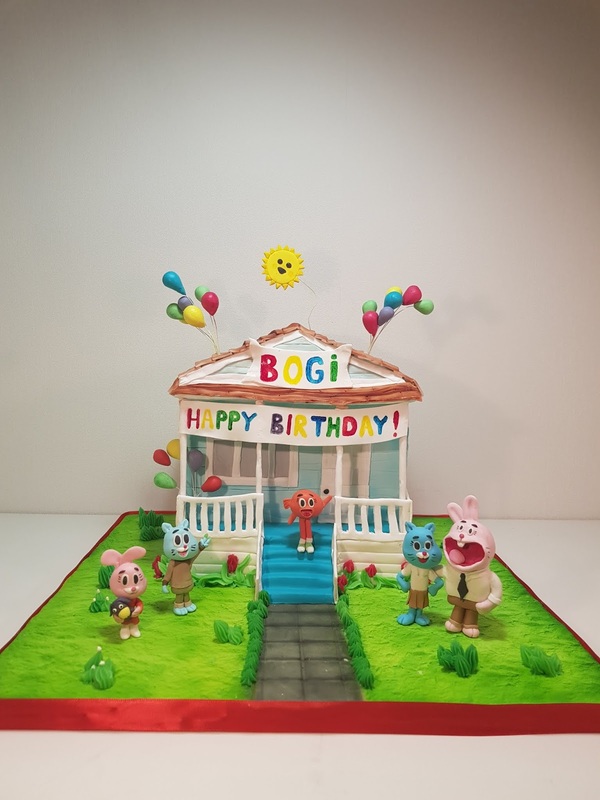 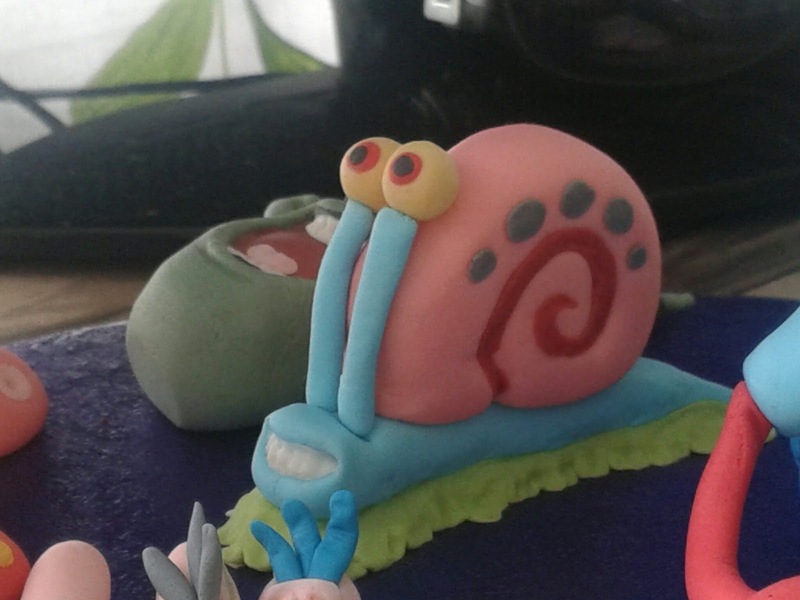 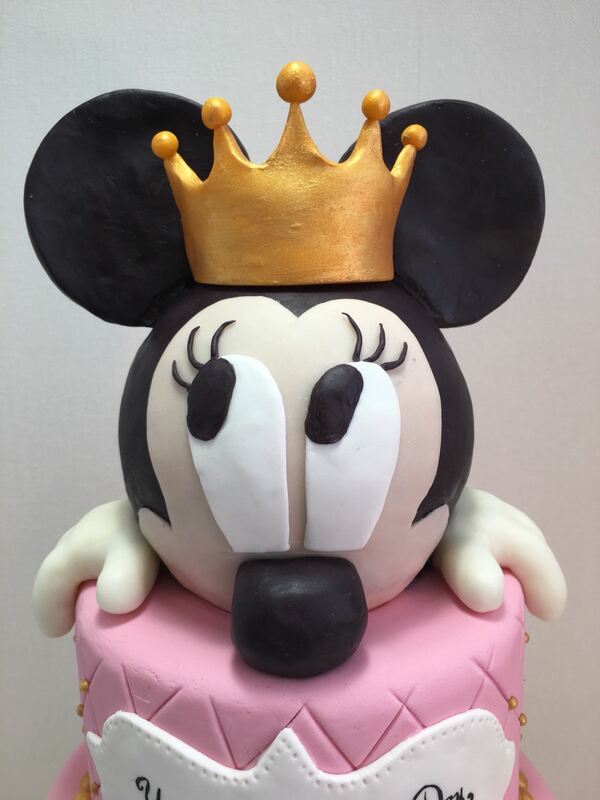 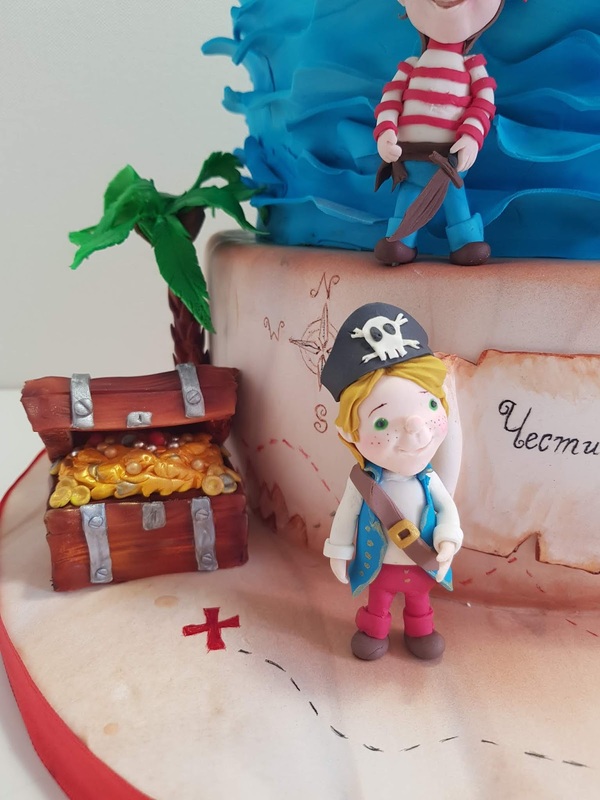 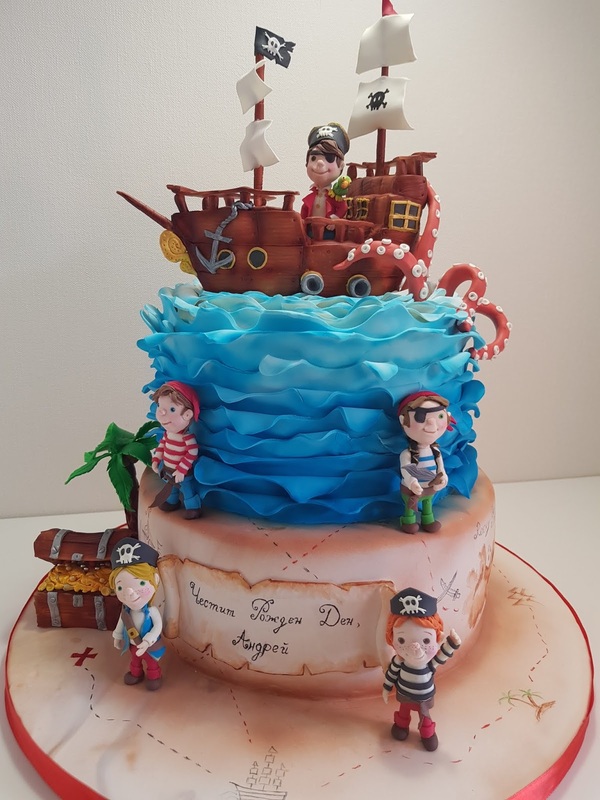 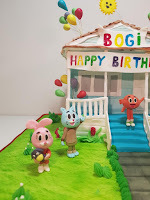 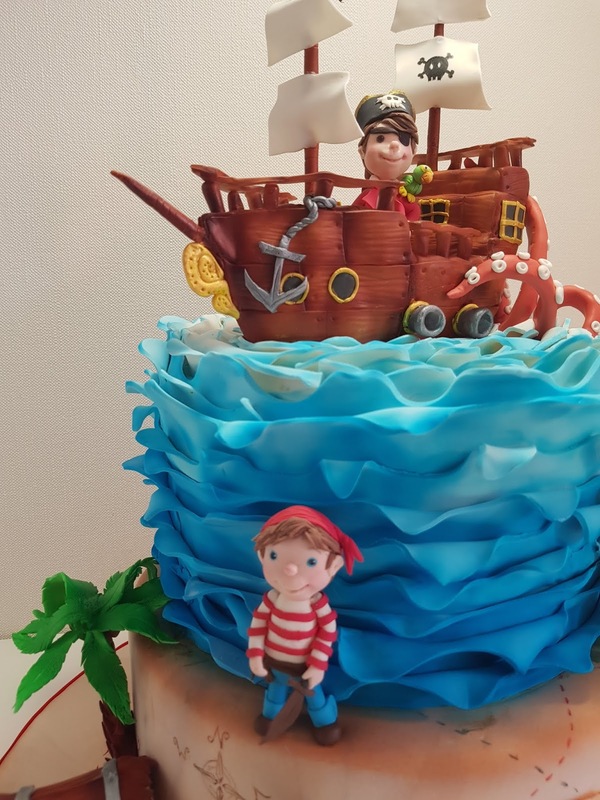 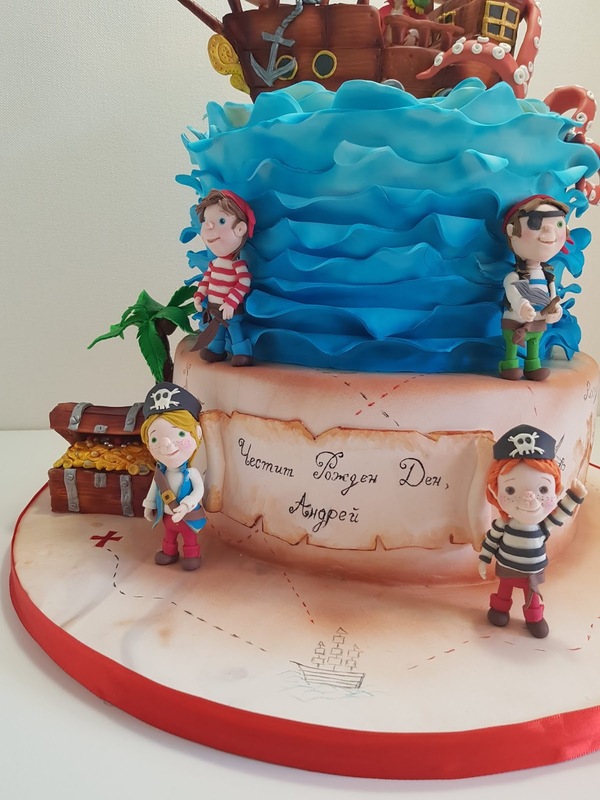 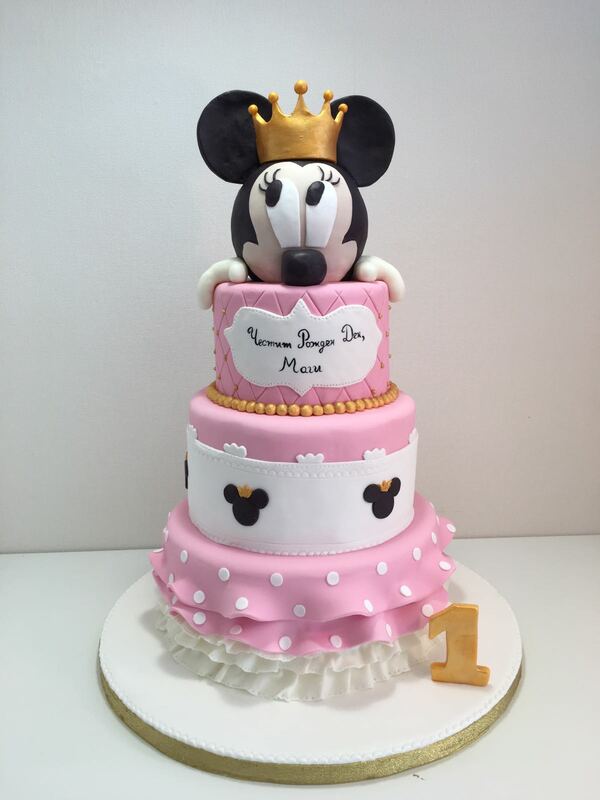 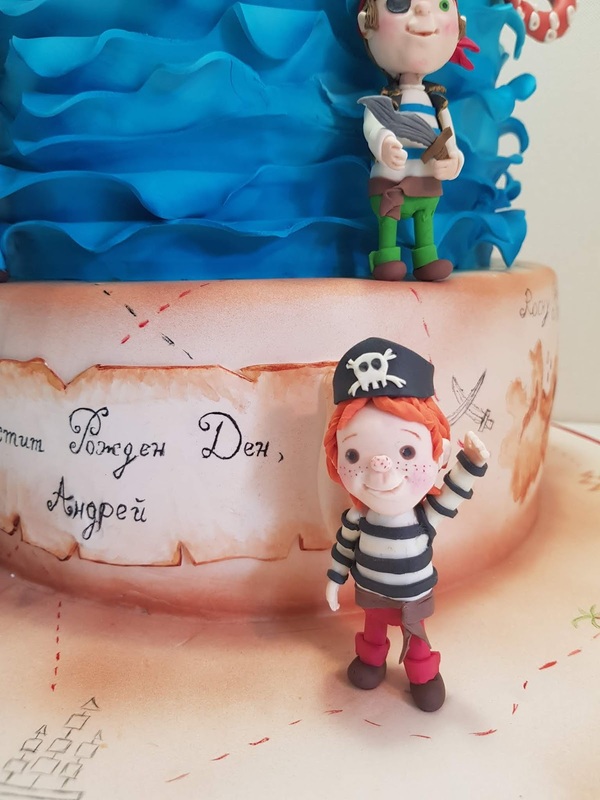 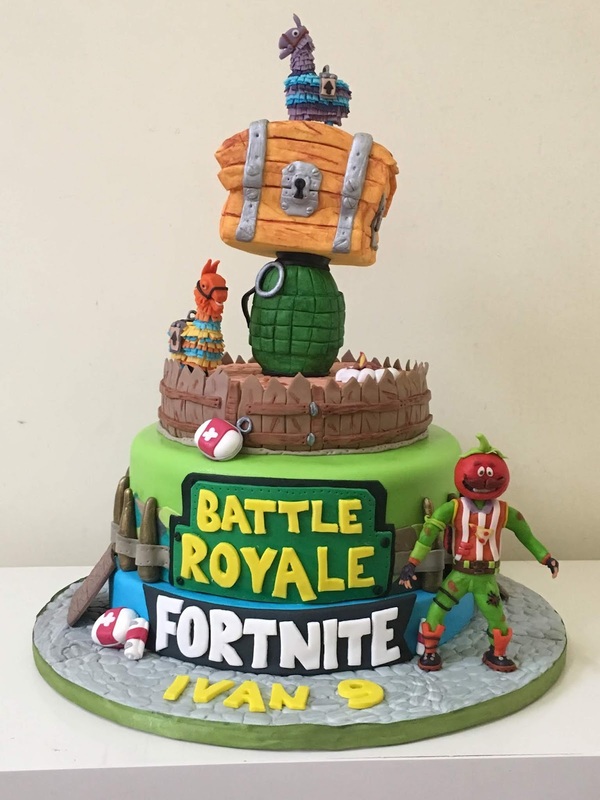 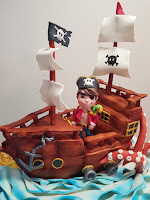 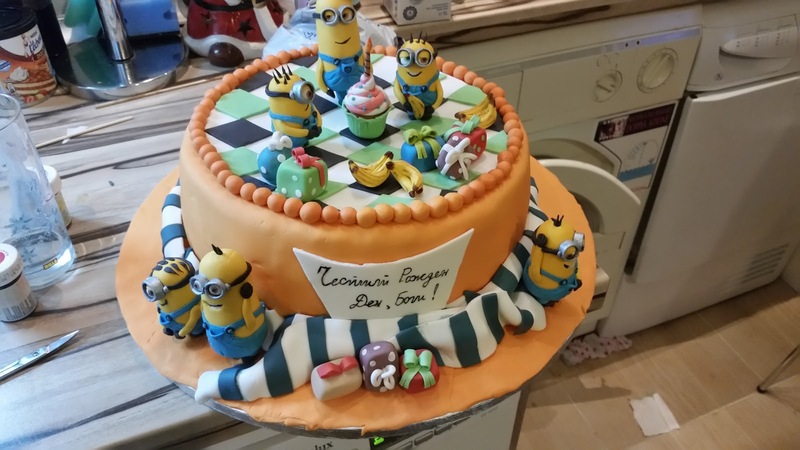 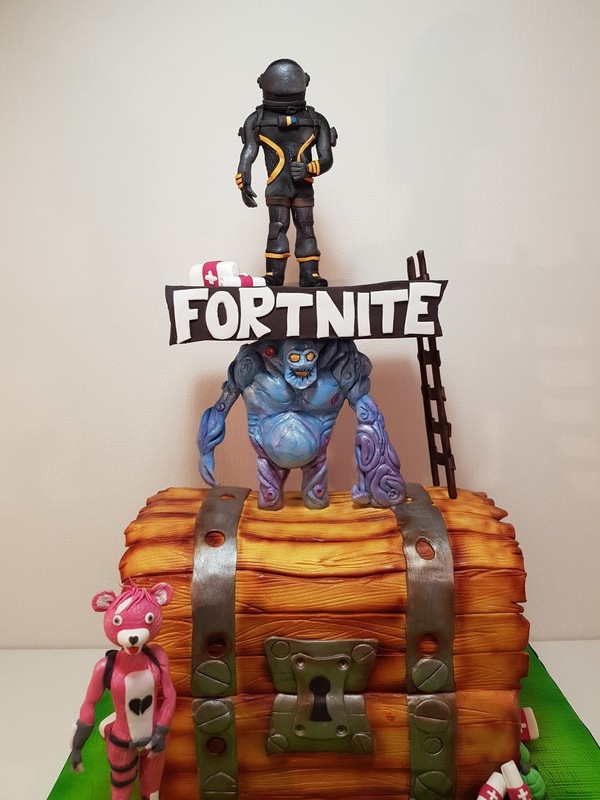 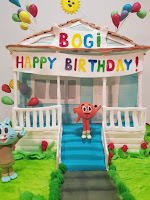 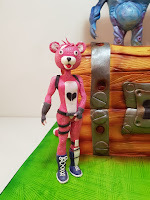 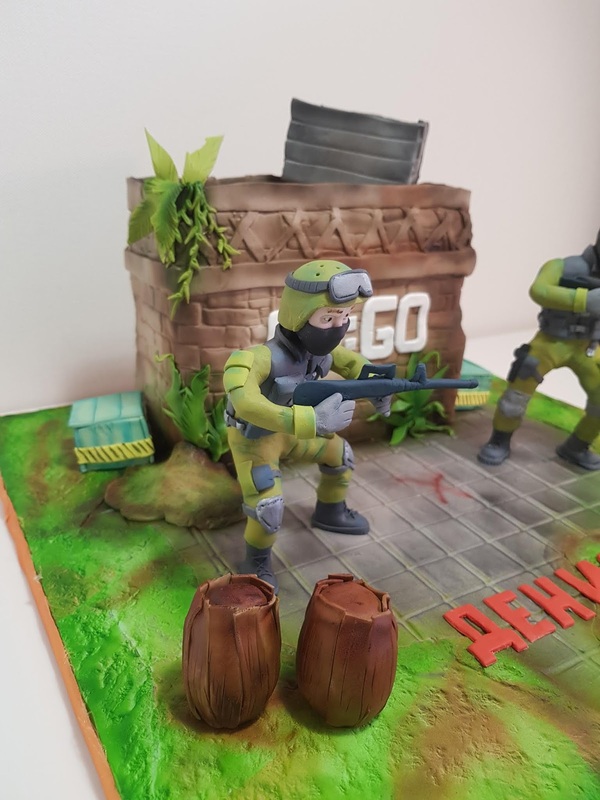 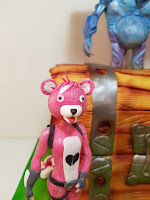 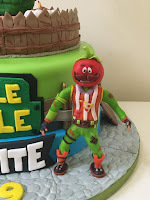 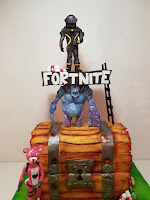 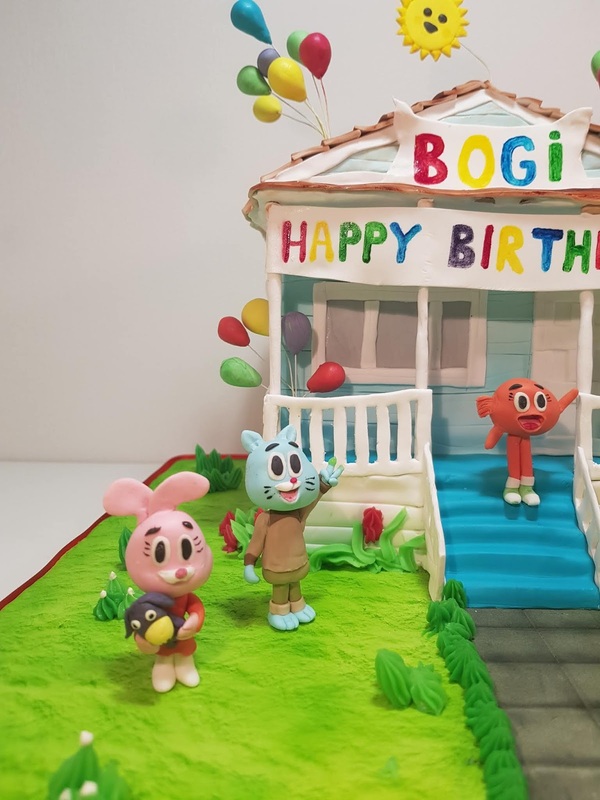 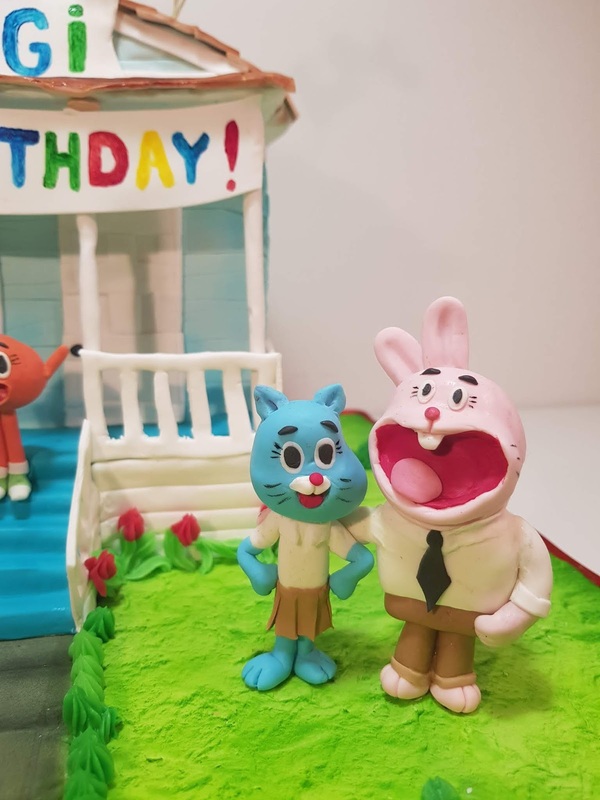 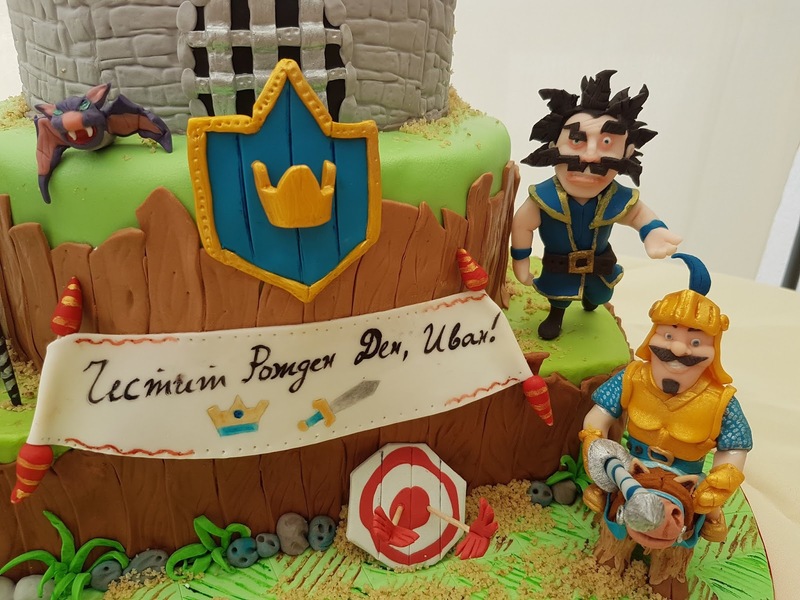 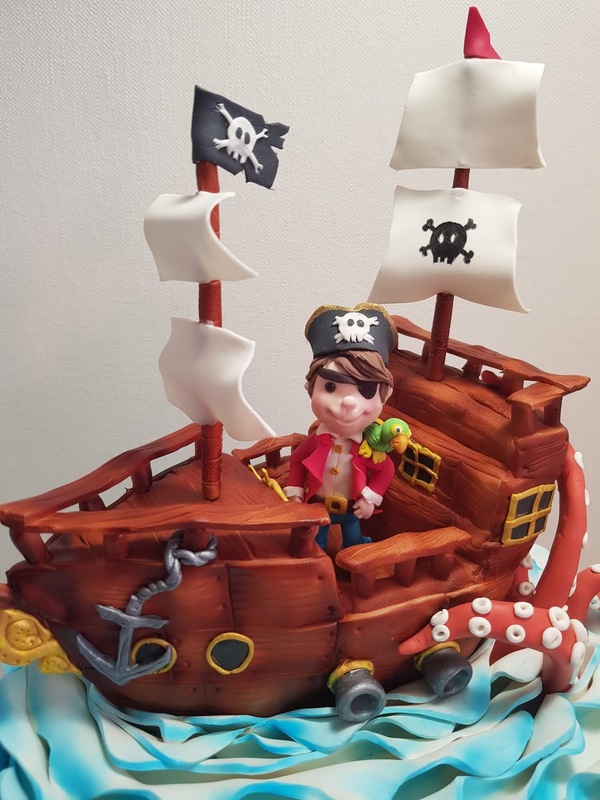 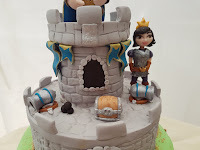 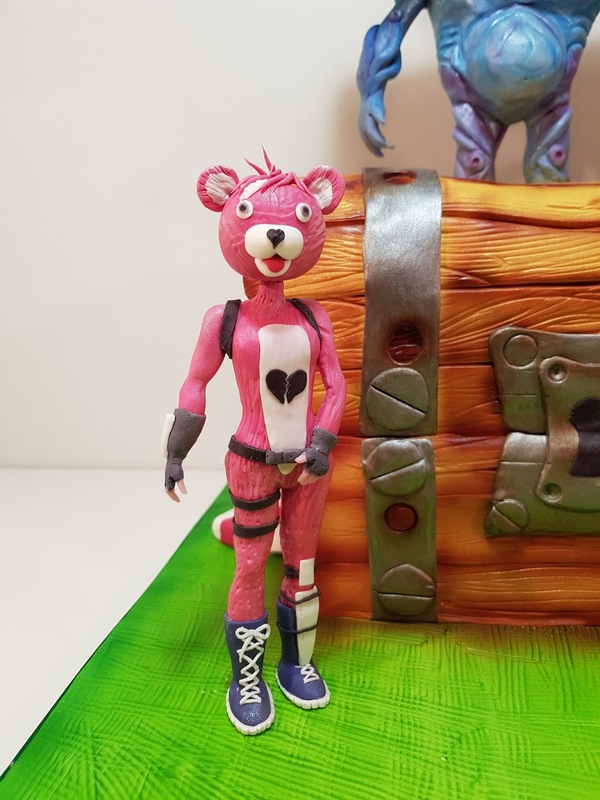 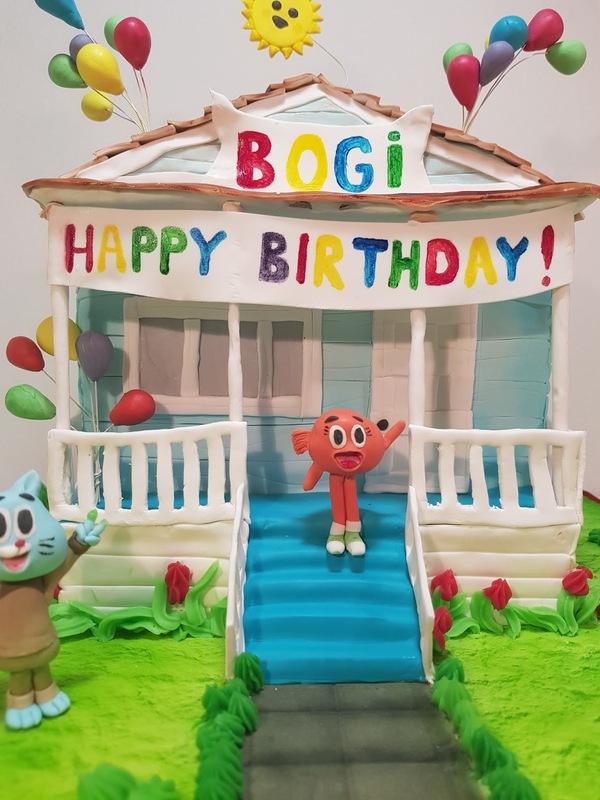 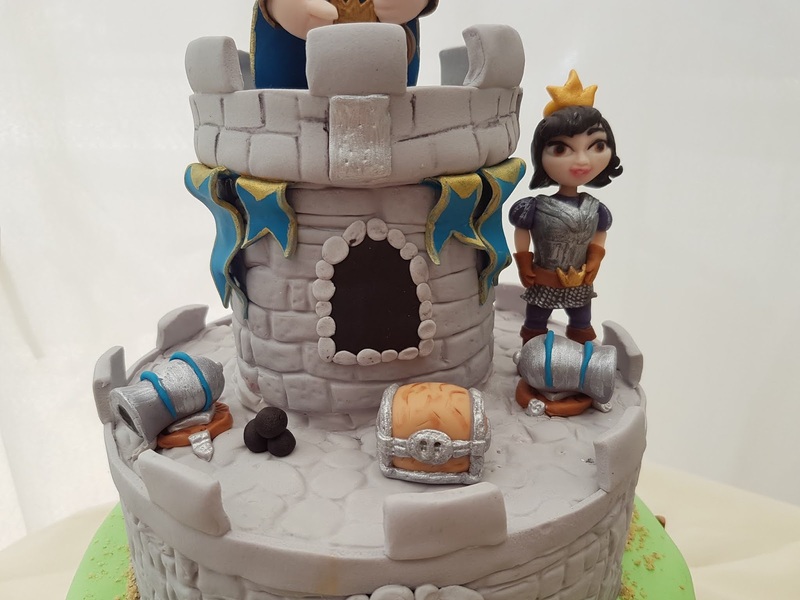 All figures are made from fondant. 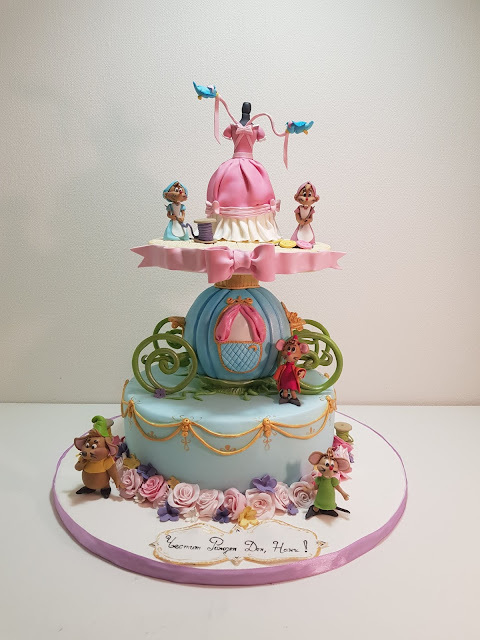 The Beauty and Beast cake. 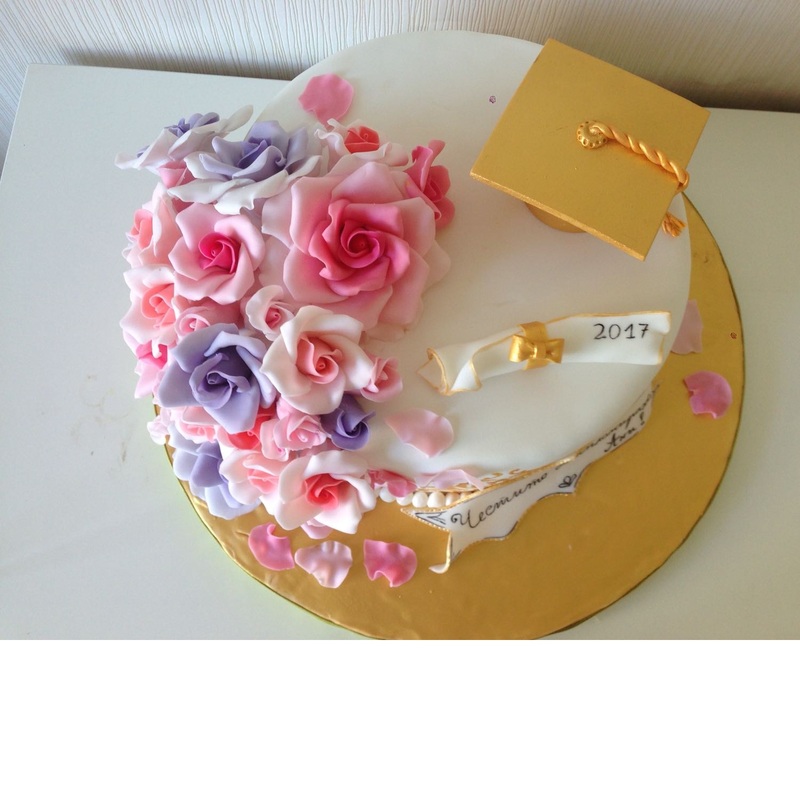 This is a two tired cake. 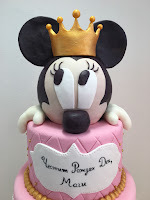 The first layer is a chocolate cake with vanilla cream. 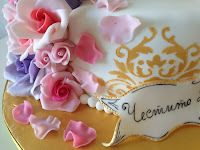 The second is а vanilla cake with vanilla cream and raspberries. 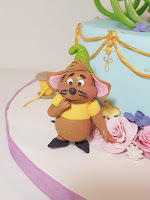 For this cake a was inspired from The Disney’s movie The Beauty and the Beast. 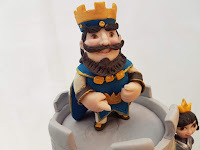 I made the figurines from fondant and I didn’t use any molds. 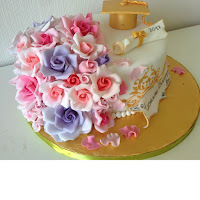 This is a vanilla sponge cake with Garash chocolate cream. 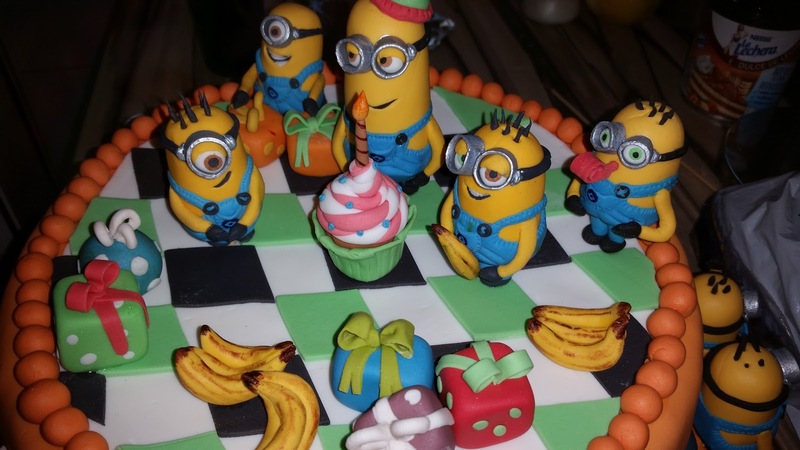 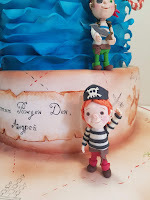 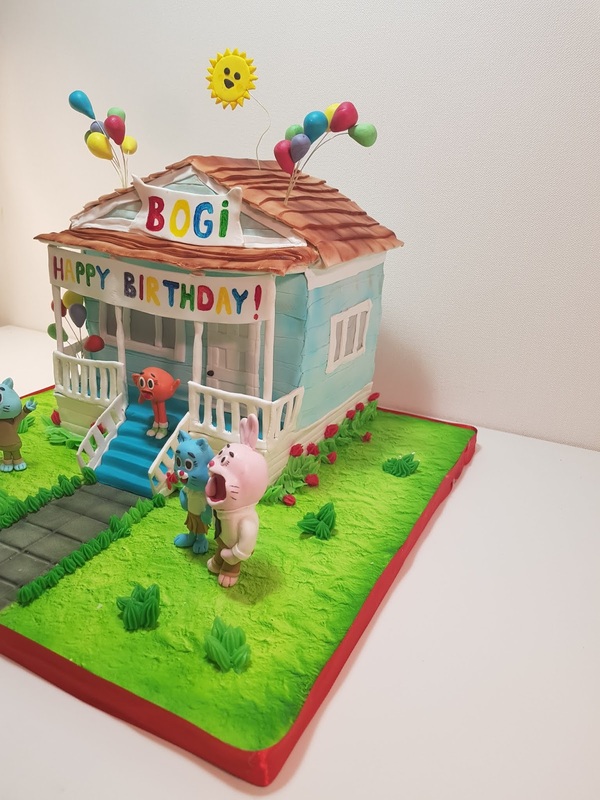 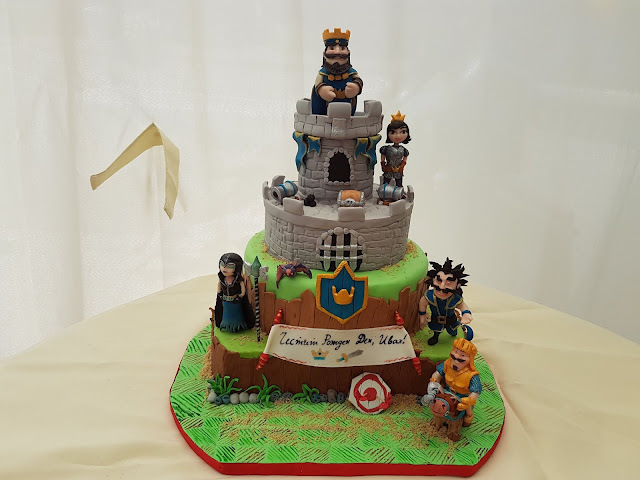 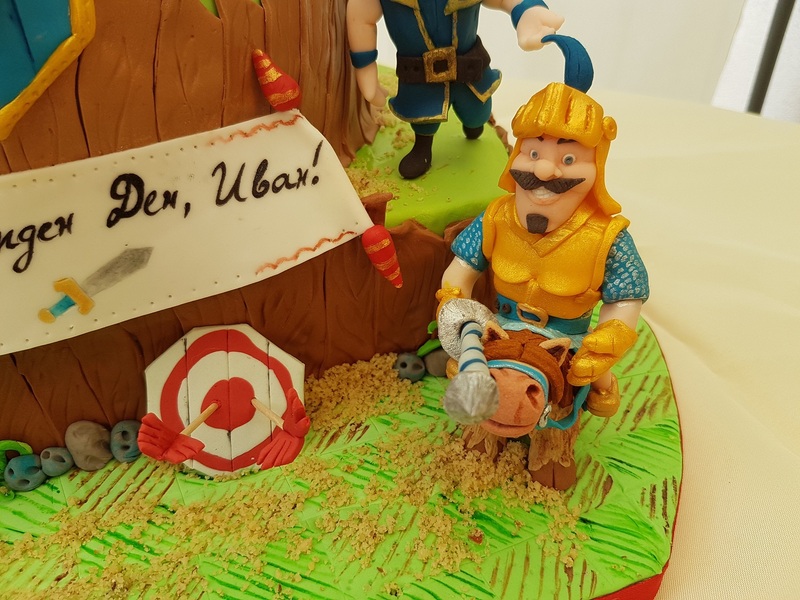 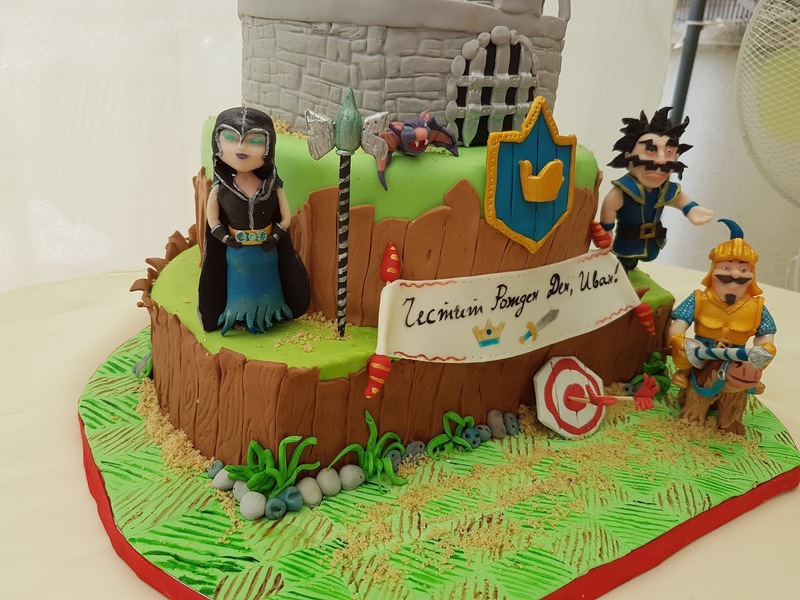 All the figures are made from fondant. 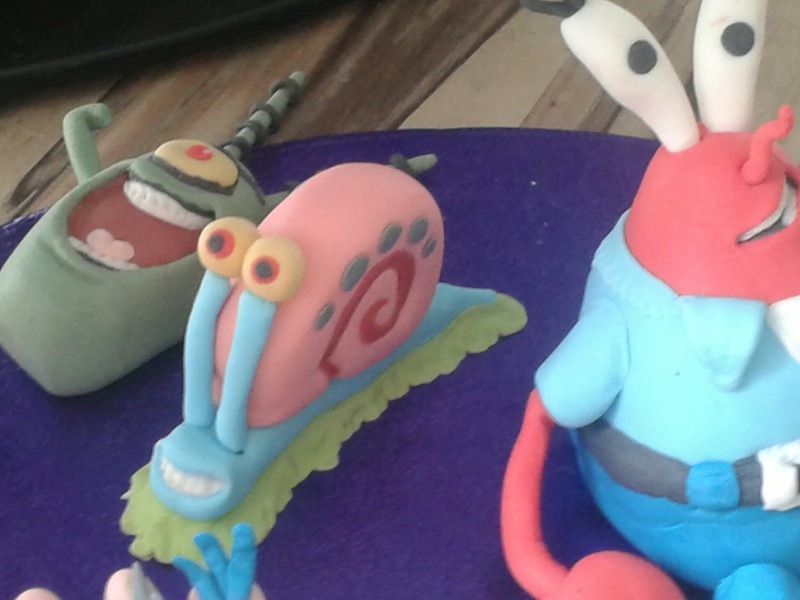 These are my Christmas cupcakes. 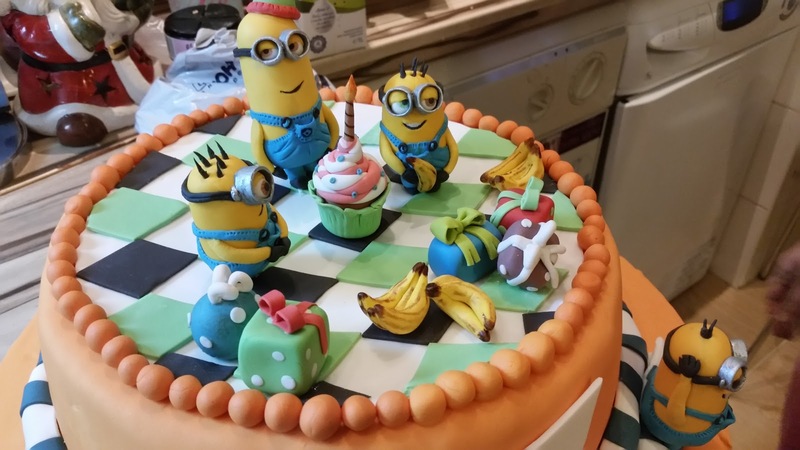 They are chocolate cupcakes with a cream cheese filling. This is a two tired cake. 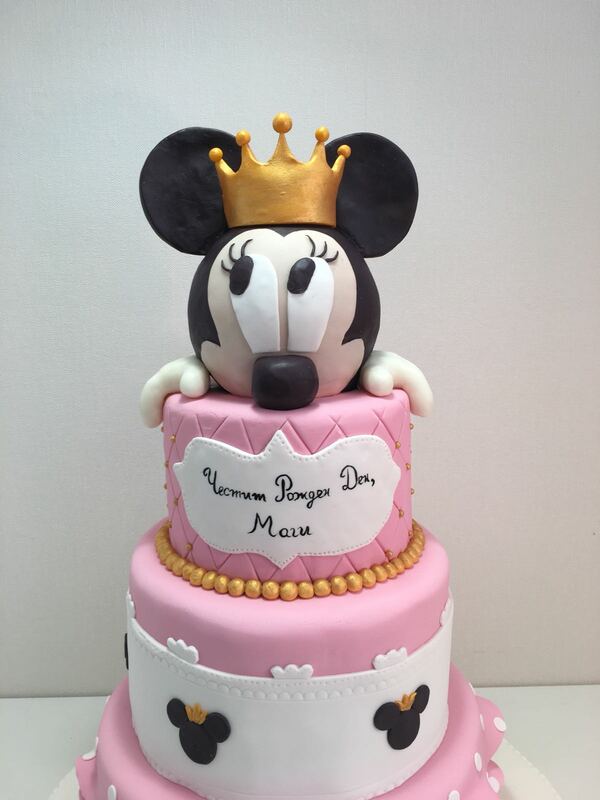 The first layer is a moisture chocolate cake with chocolate mousse. The second layer is a vanilla sponge cake with mascarpone raspberry cream. 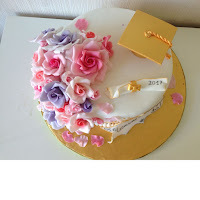 The roses are made from fondant. I used roses petals cutters. The shoe and the flowers are made from fondant. 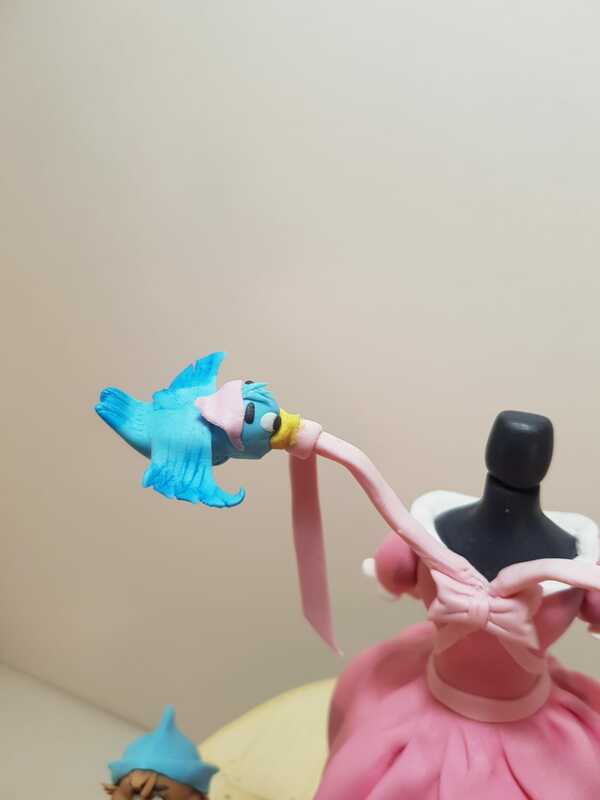 The only mold that I used was for the heel . This is a nut cake with dulce de leche whipped cream. I was inspired by the stories about fairies and elves, and all the secrets beyond the forest. This is a sponge cake with a chocolate ganache cream. 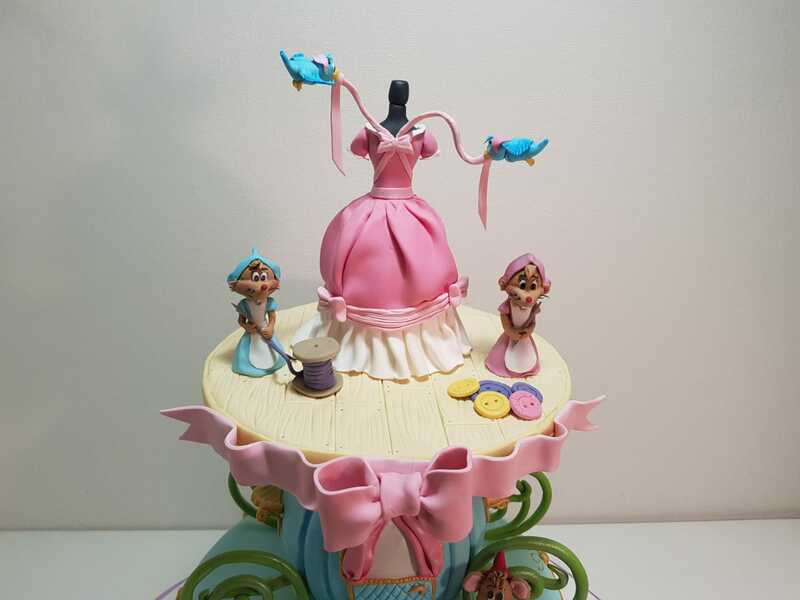 It’s a fondant fairy figurine which I made with decorating tools. The wings are made from gelatine . I used some cutters for the flowers. 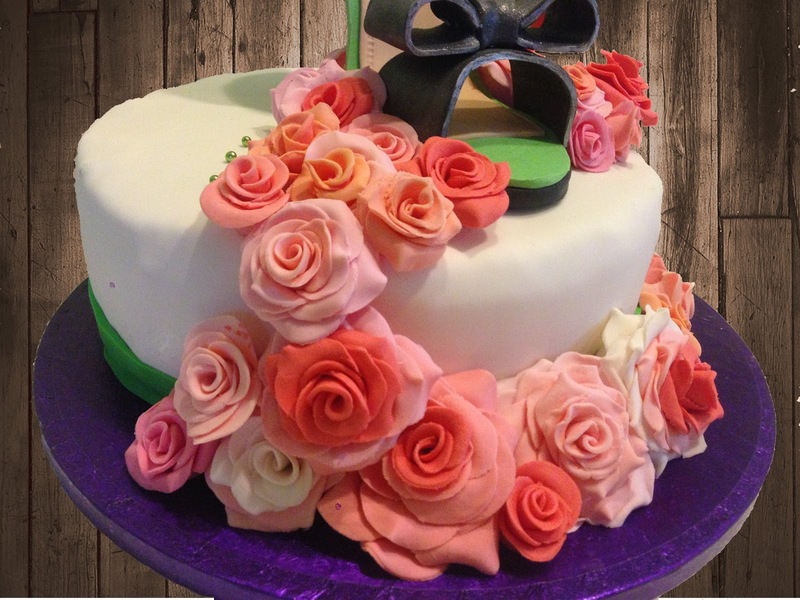 This is a fondant Flamenco dancer cake. 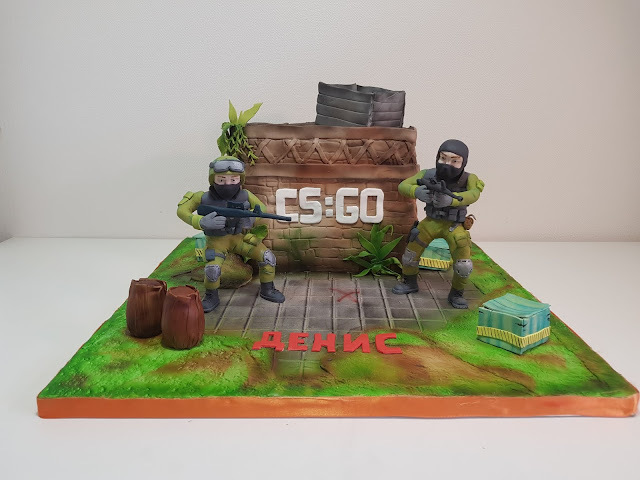 It’s a chocolate cake with vanilla cream. 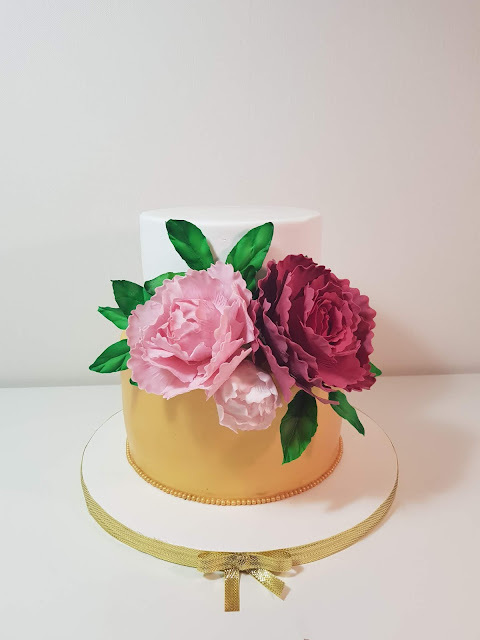 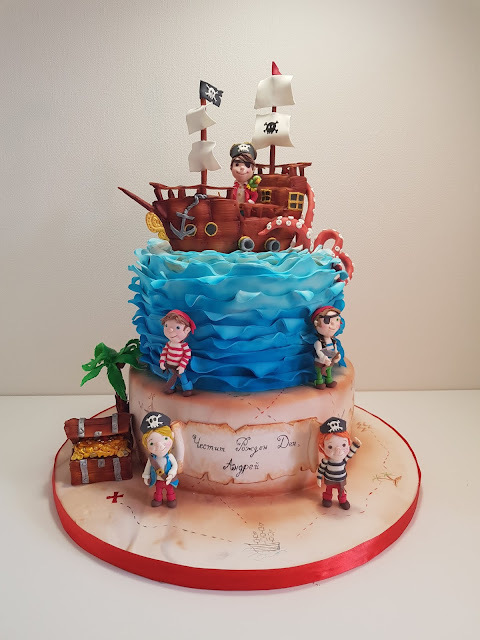 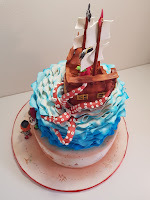 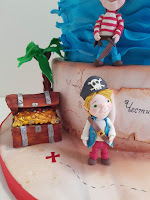 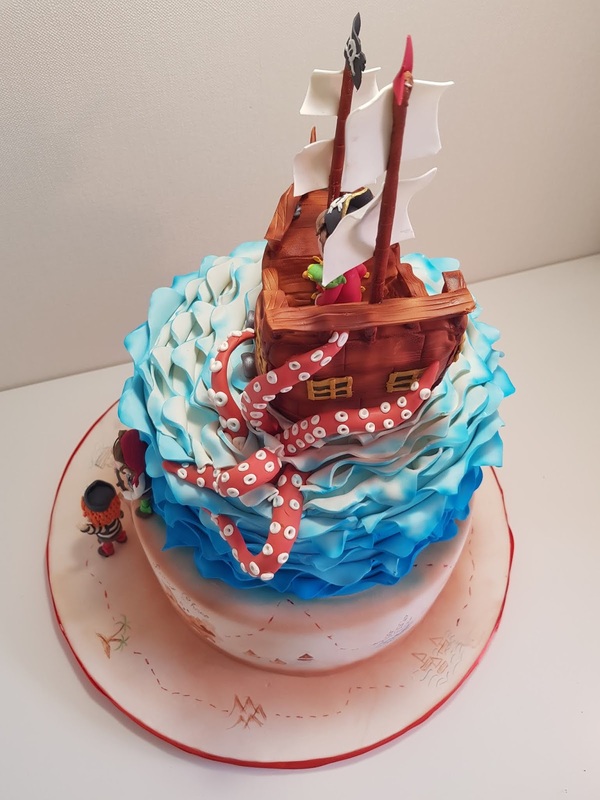 I used the Vizyon fondant and colours from Wilton. 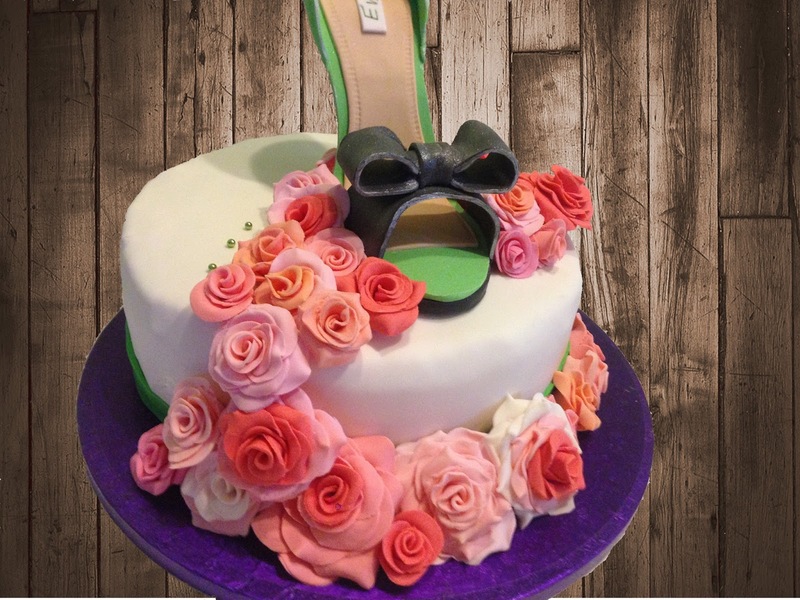 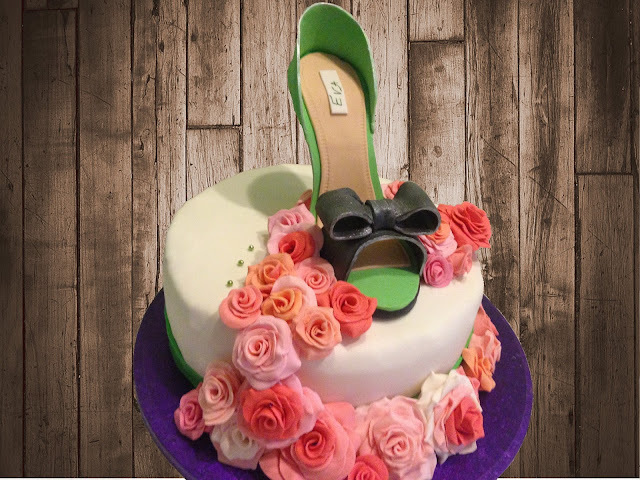 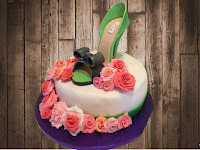 This is a Fondant Shoe cake. 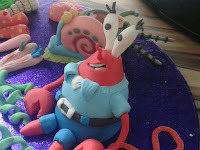 I made it from fondant and used a mold for the hell. 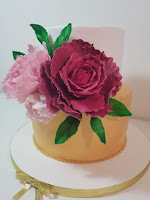 I made the rosses with The easiest rose mold. This is moist carrot cake with yogurt cream . 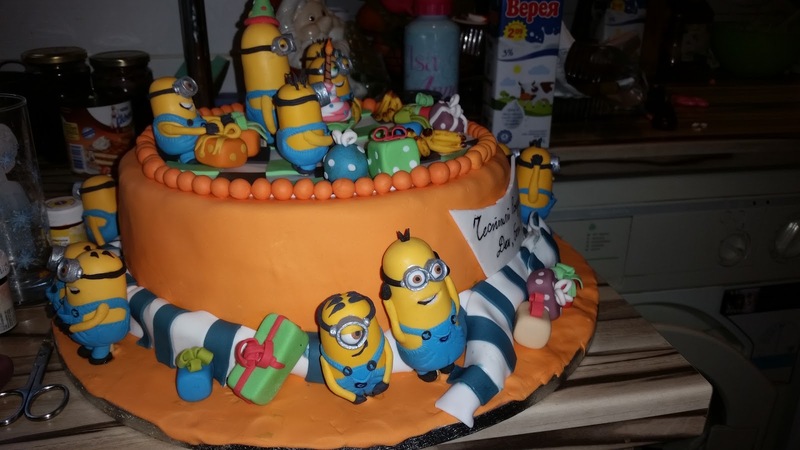 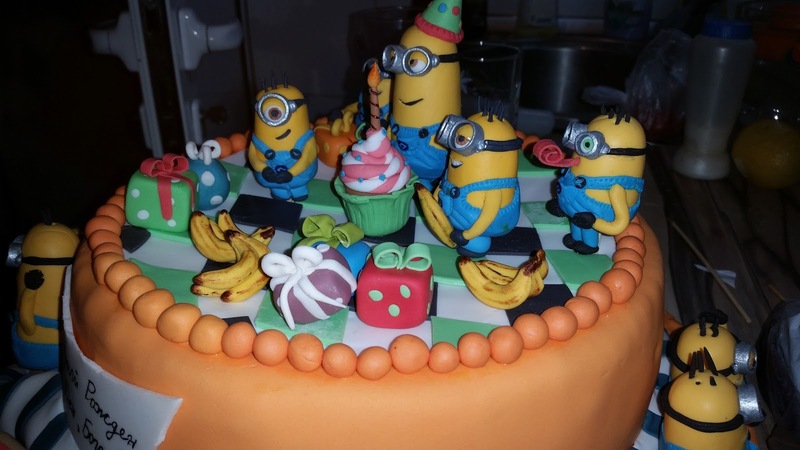 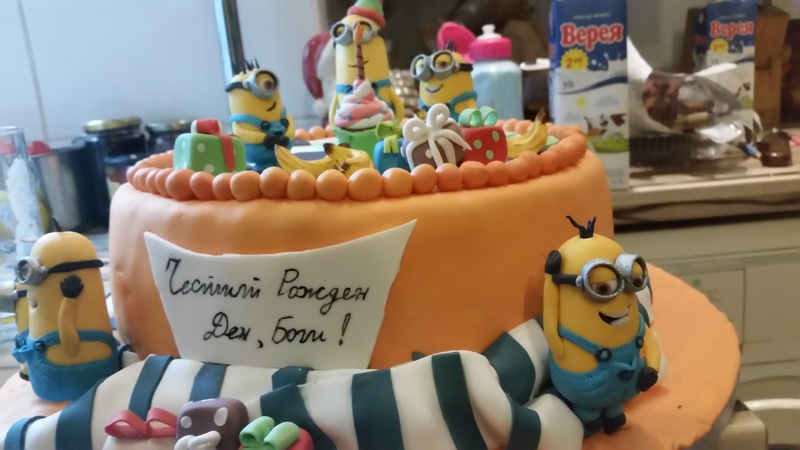 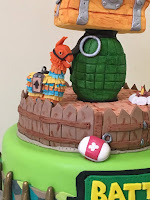 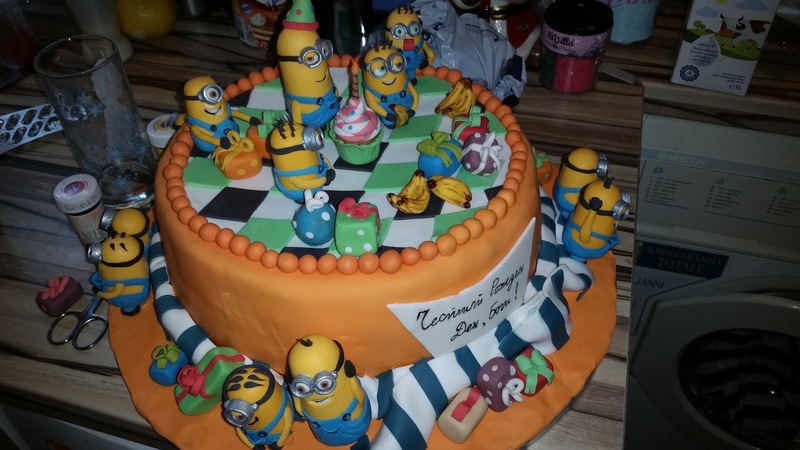 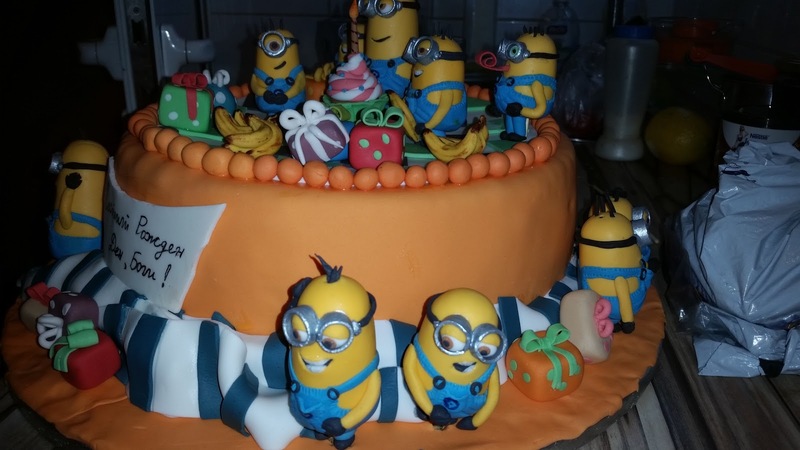 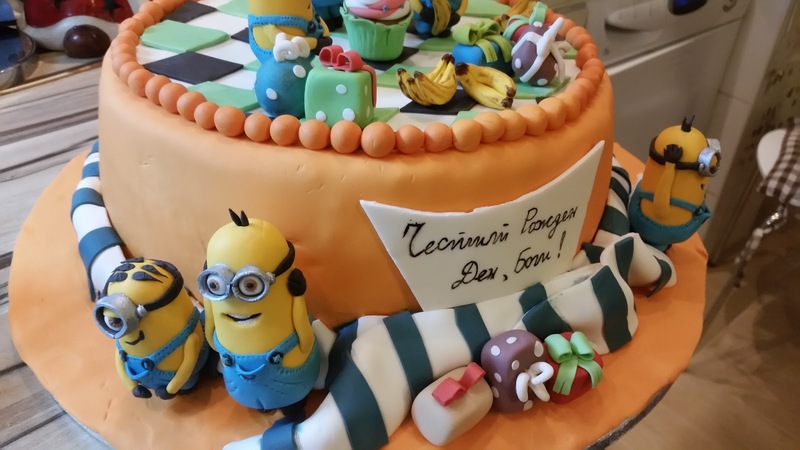 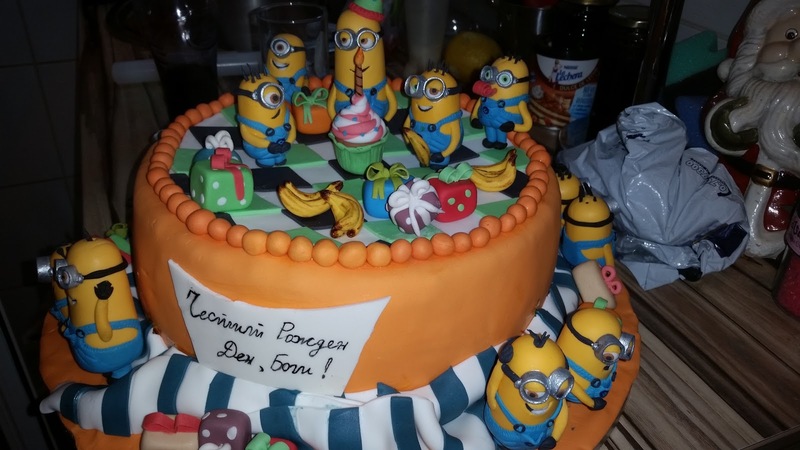 This is The Minions birthday cake. The figurines I made from fondant with tylose powder. 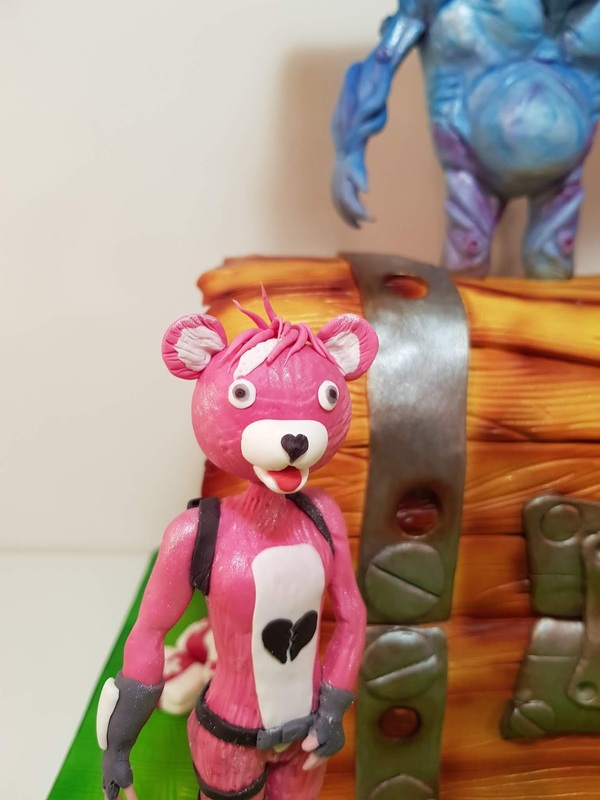 I did my best to make all of them with different faces. It was a lot of work with these little buddies. I didn't use any molds. 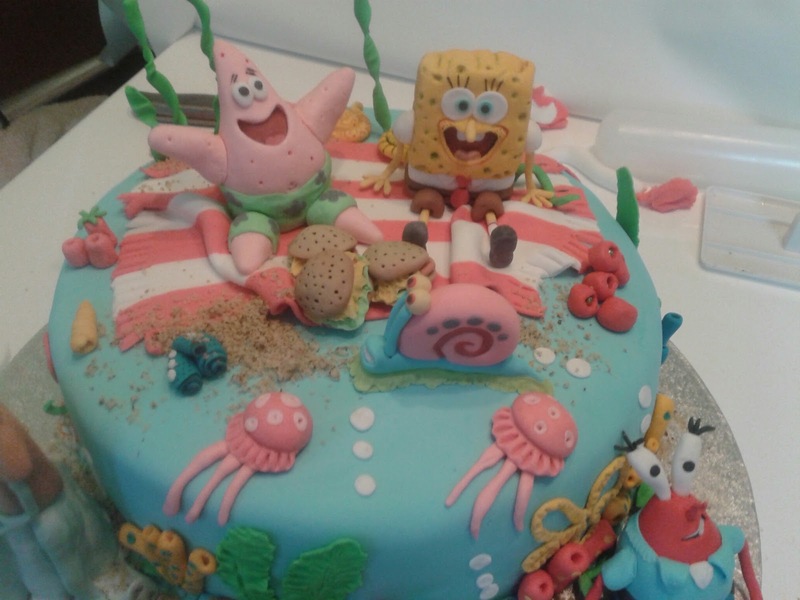 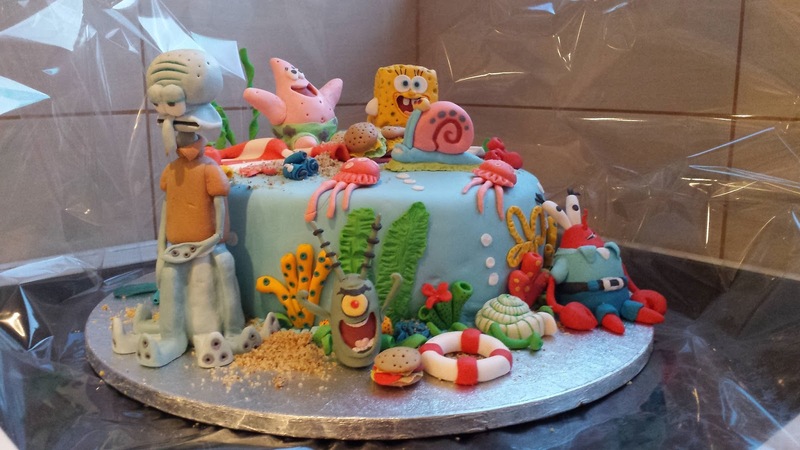 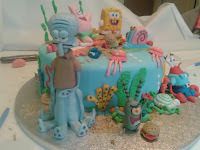 This is the Sponge Bob Birthday cake. 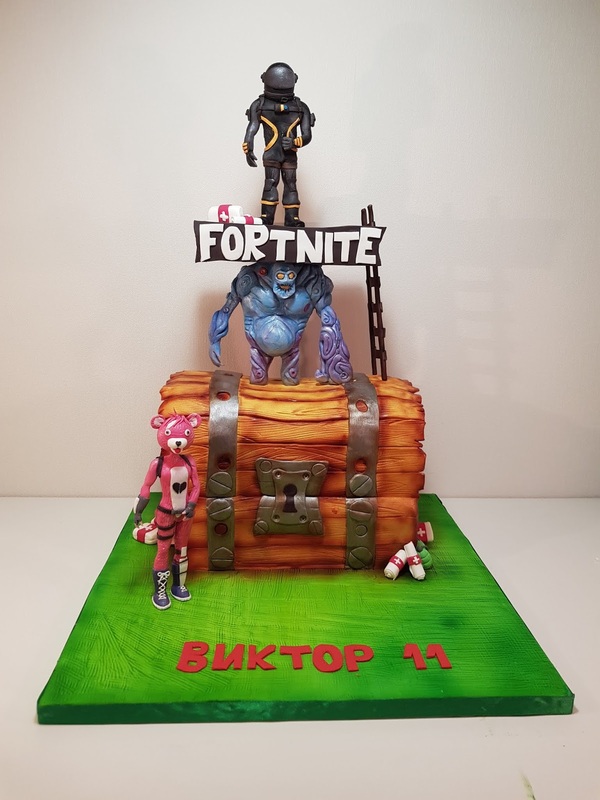 It was a big pleasure to create it, I’ve always wanted to make one. 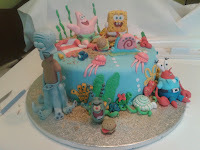 Again I didn’t use any molds. 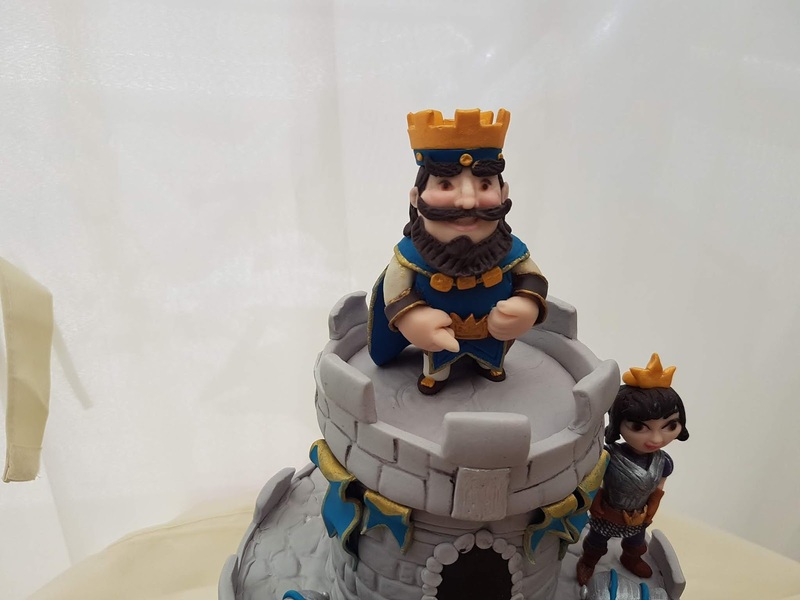 And the figurines are made from fondant. This is a chocolate cake with yogurt cream. I made it for a very special person. The flowers are made without using any molds. 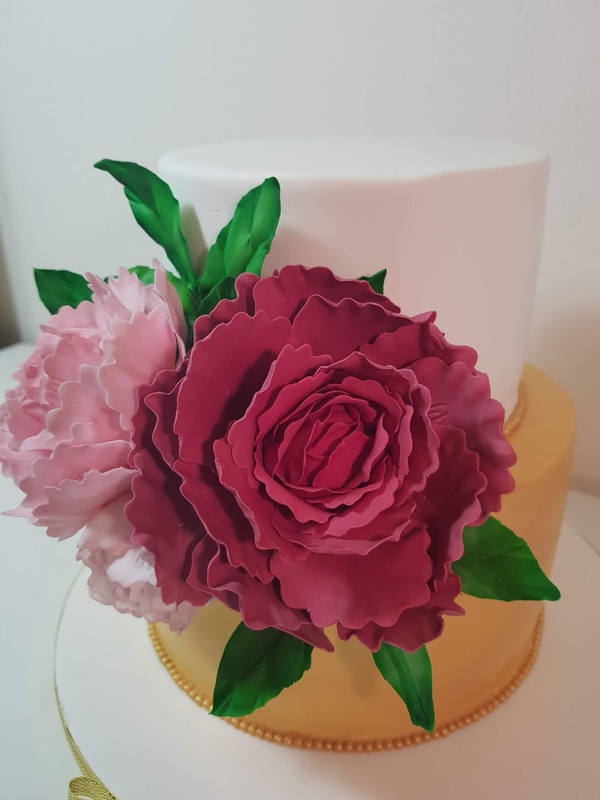 I used Gum paste mix and Icing colours from Wilton.